Art of Designing Employee Satisfaction Survey Questionnaire, Get it Right! Home » Art of Designing Employee Satisfaction Survey Questionnaire, Get it Right! » Blog » Art of Designing Employee Satisfaction Survey Questionnaire, Get it Right! Is there really an art in creating employee satisfaction survey questions? The art is in putting right words to frame right questions for getting most valuable response from the employees. There is always a specific reason for asking each question in an employee survey, and that’s why applying logic behind every question is obligatory. 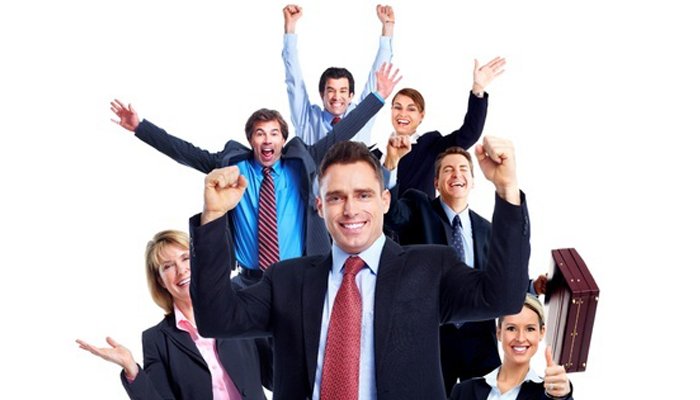 Employees are the most appreciated asset for an organization. Their happiness at workplace is directly proportional to their productivity. There is a simple rule – happier the employee is, more would be the productivity. As employee’s output decides the destiny of a business, it is extremely important to regularly measure their level of satisfaction and happiness through employee satisfaction surveys. Now this is where the need to design survey questionnaire comes into the picture. Every employee satisfaction survey has a hidden agenda which is the ultimate target for the HR managers. Therefore, managers should keep the goal in their mind when scribbling survey queries. Catch few quick tips to design better employee survey questions. The close ended questions are generally conclusive in nature and they give options to the employees to choose their answer. The employees need not to write elaborate answers, instead they can answer the question by selecting a choice from the already designed pattern, like multiple choice, check boxes, etc. For instance: What is the best thing you like about your company? On the other hand, open questions demand employees to explain their answers and express their thoughts to make the survey more meaningful. For example: What do you think about our newly designed HR portal? Such questions are only asked when there is a real need of qualitative employee feedback. Remember to always ask close ended queries before jumping on open ones. While writing questions, stay neutral and put yourself in employee’s shoes. Sounds different? This will help you to think from your employee’s perspective without showing any favoritism for the employer. Do not use leading words in the questionnaire and try to keep them neutral. For example: We have introduced a new payroll software which is highly functional and easy-to-use. What are your opinions? Please share. Instead of putting a question like this, you can design it without taking sides. For Example: What are your opinions on our newly introduced payroll software? It is good that you want to know everything going in the mind of your employee, but you have to be focused. I would recommend you to ask one question at a time, so that the person answering it would be able to cover all important points. Do not create generic queries. Be specific. For eg. What do you think about company’s Founder’s Day celebration? Did you enjoy yourself? Was it really your best perk? Why/ Why not? Employees give genuine feedback only when their identity is concealed. The anonymous system of conducting employee surveys make them safe while putting forward open and honest feedback. Most of the leaders fear that their employees will not come forward to share their opinions unless they are anonymous. So put your best foot forward and strategize anonymous surveys. However, the concept of anonymity makes it difficult to follow up employees who provide strong and meaningful ideas. Yet it prevails in many middle and large sized organizations to show confidence in their employees and let them express freely. Use simple language. Not all your employees are well-aware of your company acronyms which are mainly used by CEOs, CFOs, and other managerial persons. The surveys are conducted to measure employee satisfaction level, therefore keep the questionnaire which can be answered by professionals designated from executive level to managers to head of the departments. Think. Think. And then Write. Remember the success mantra: Employee satisfaction surveys are conducted by the employees and for the employees, so they should be focused, goal-centric and in interest of employees.